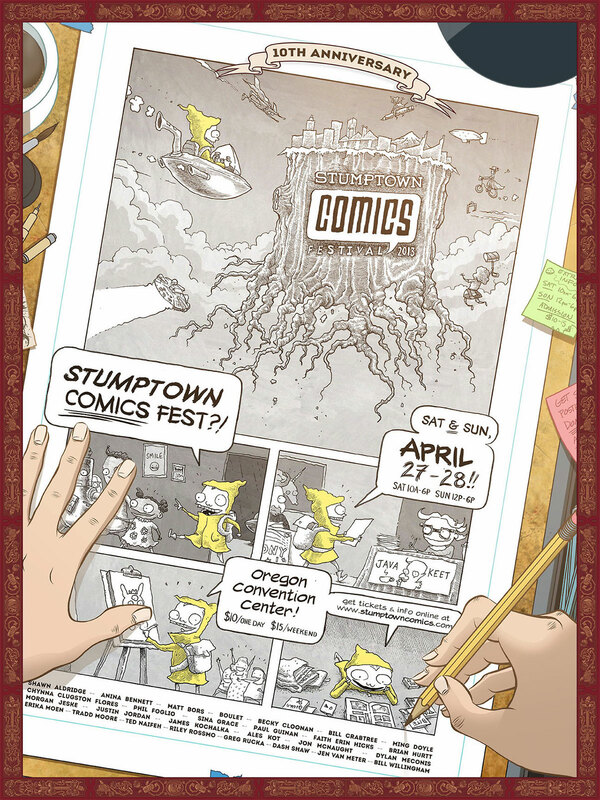 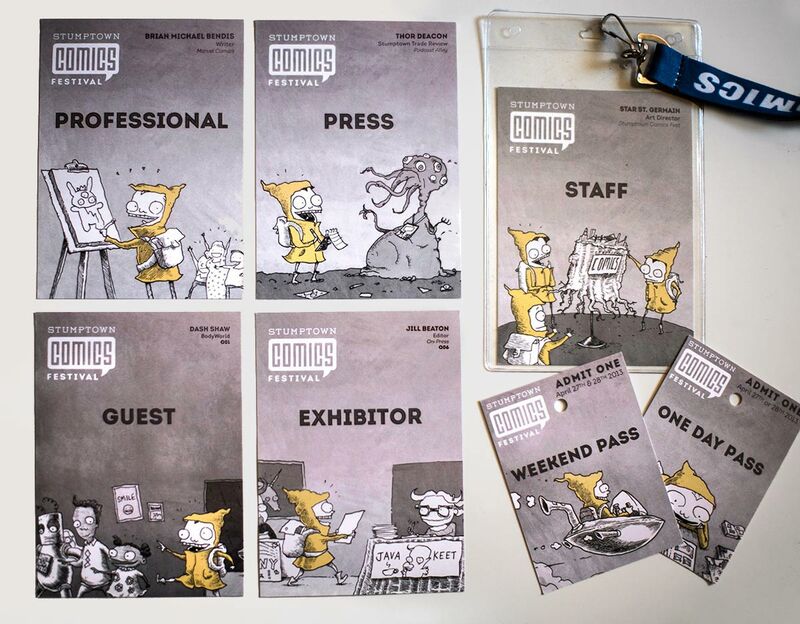 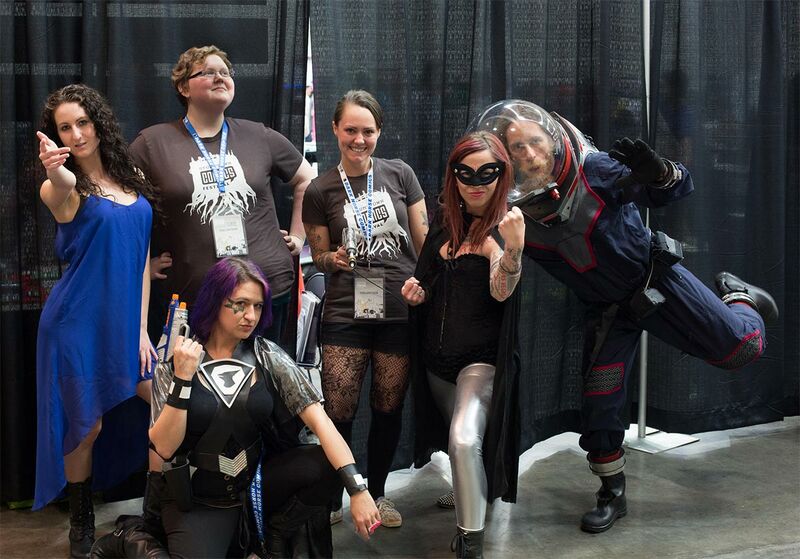 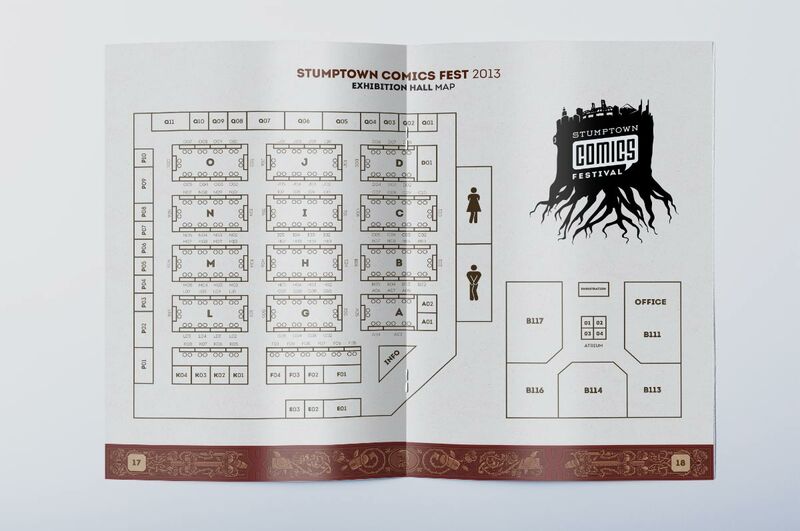 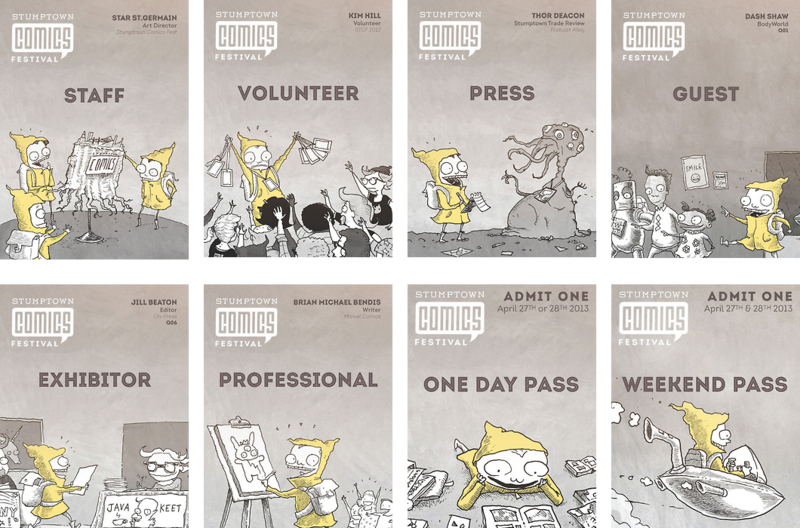 Stumptown Comics Fest is an annual convention in Portland that draws over 3,000 attendees. 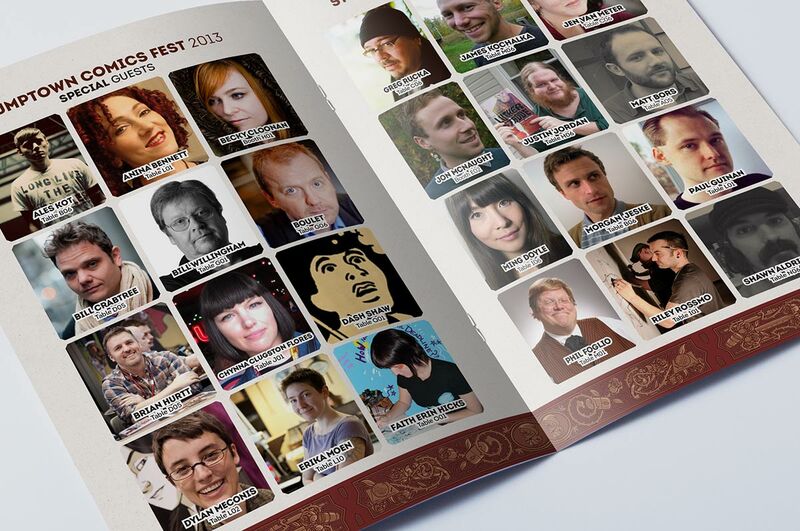 I served as the Art Director for the festival in 2013. 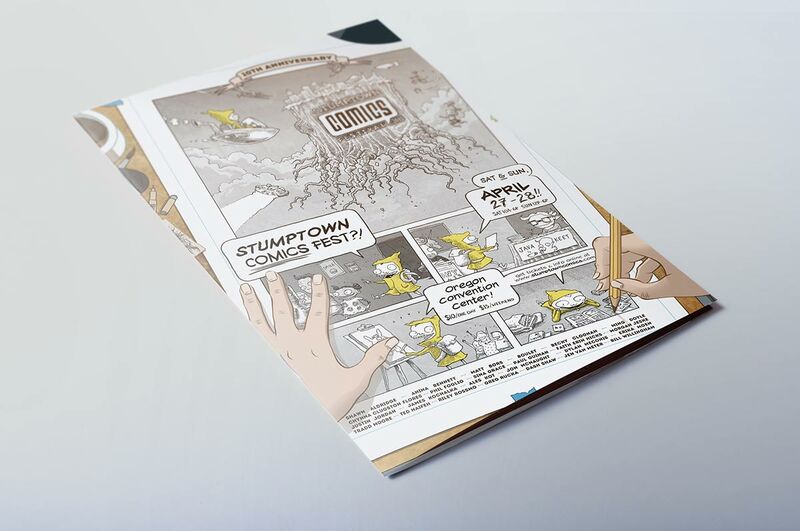 My job was to ensure that all visual materials produced for the event by different artists worked together to create a cohesive brand for the event. 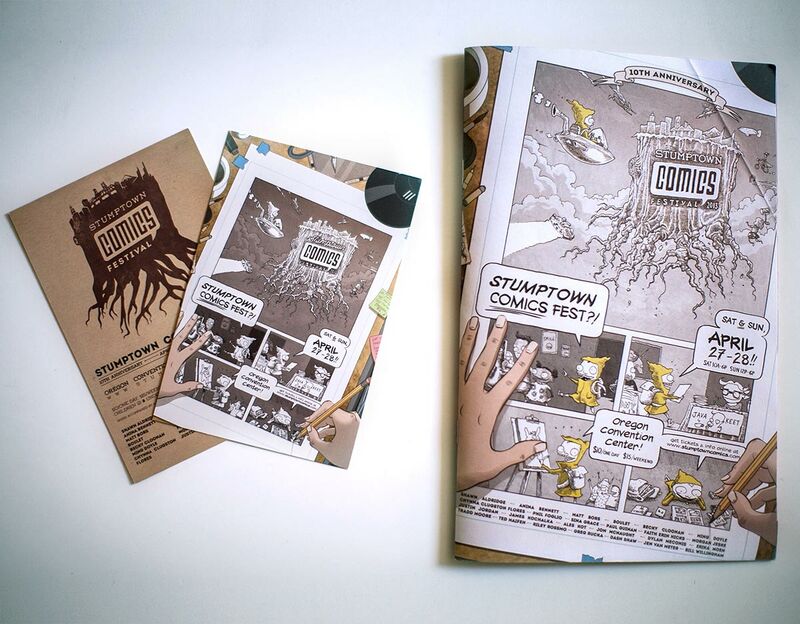 In addition to art direction, I did branding and designed all the print collateral. 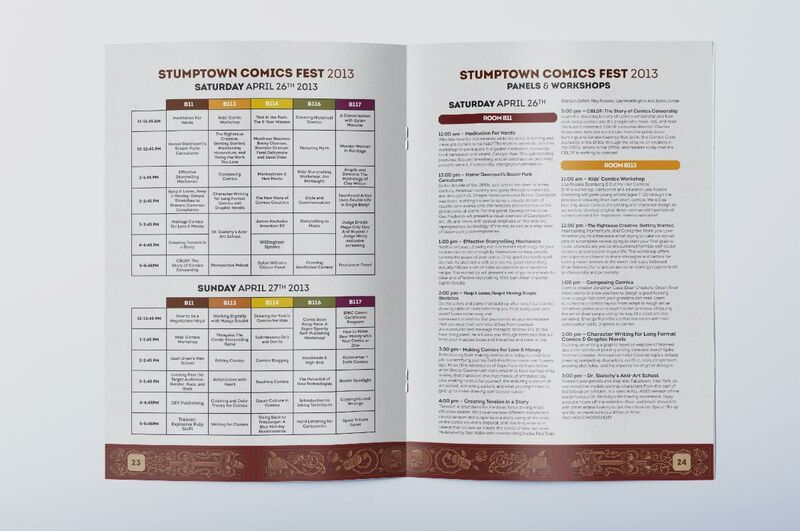 I created the logo and designed a 34-page event guide, flyers, badges, t-shirt and an 18x24" poster.